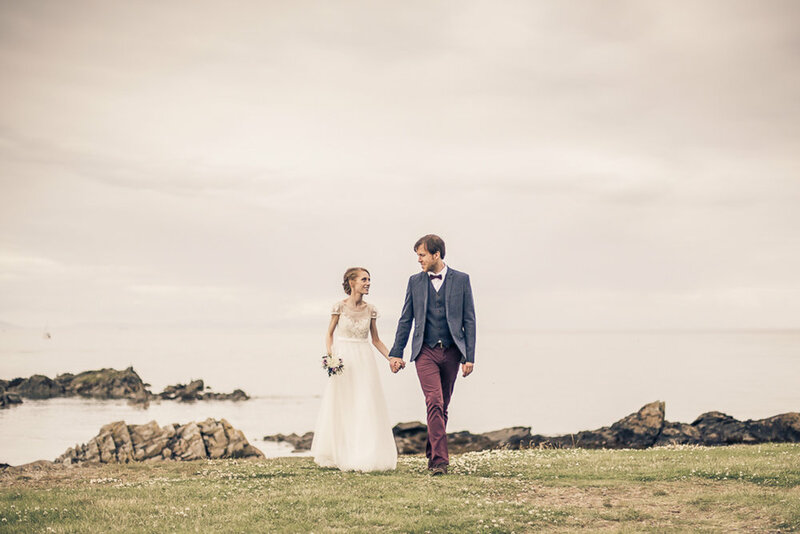 This bustling north Dublin town has a nice little harbour and lovely rocky sea views perfect for bride and grooms who would love to bring some water into their wedding photos! 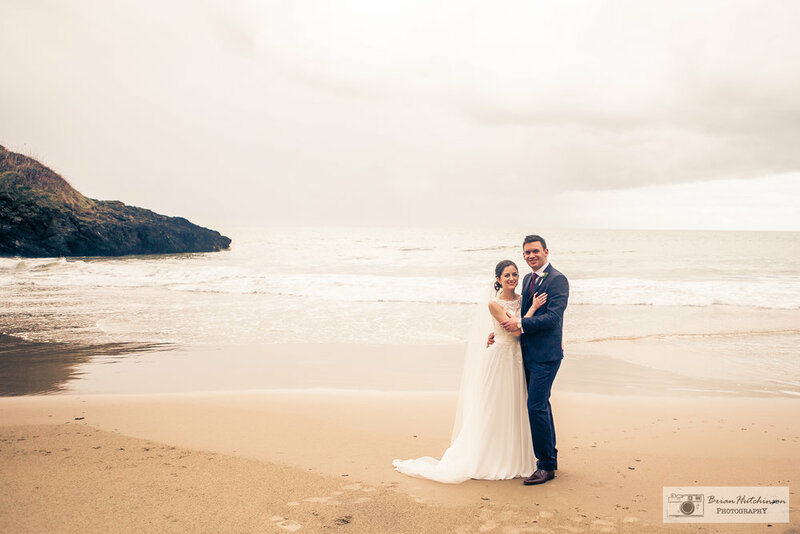 Where better to go with a long white gown than a wet, sandy beach! Ok so it may not be every brides cup of tea but for those wearing a manageable dress it is certainly worth considering. 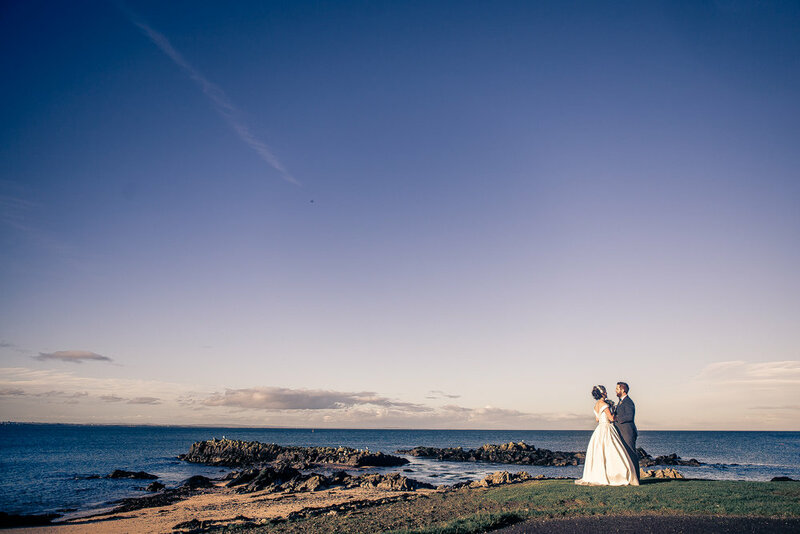 A few nice pictures and five minutes alone to gaze out upon the waves and appreciate the moment with your new wife or hubby. It's surely worth a few grains of sand between you toes! For those looking for pure, unspoilt countryside, Wicklow has it in abundance. With Blessington Lakes in the background and the lovely gorse and grass underfoot this was a great place for this couple to have a wander alone for a few minutes. What a difference it makes to step into the landscape instead of just standing it front of the scenery. This historic town is a great location for the history lovers amongst us. Trim Castle dominates the town centre and provides a great location for some great portraits. 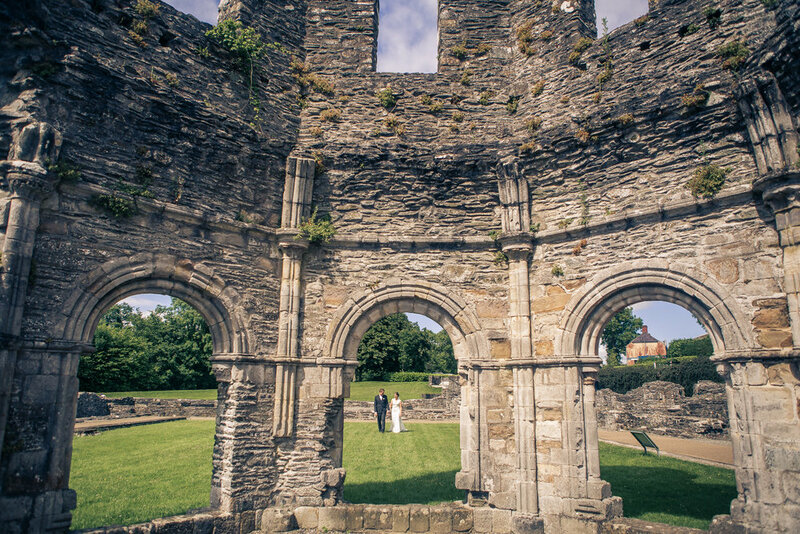 Just a short drive away the ruin of the Cathedral of Peter and Paul nestled on the banks of the River Boyne provides a stunning backdrop for any wedding photos. Spoiled for choice here! Cork has so many beautiful places, none more so than Kinsale. 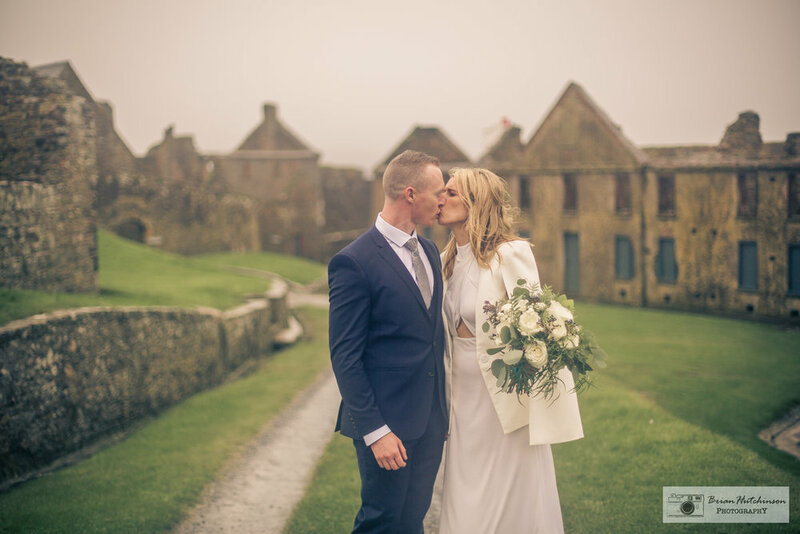 It's friendly, artsy town centre is surrounded stunning scenery and is overlooked by Charles Fort, a seventeenth century fortification that is an ideal spot for a leisurely wander with spectacular sea views and some beautiful portraits together. 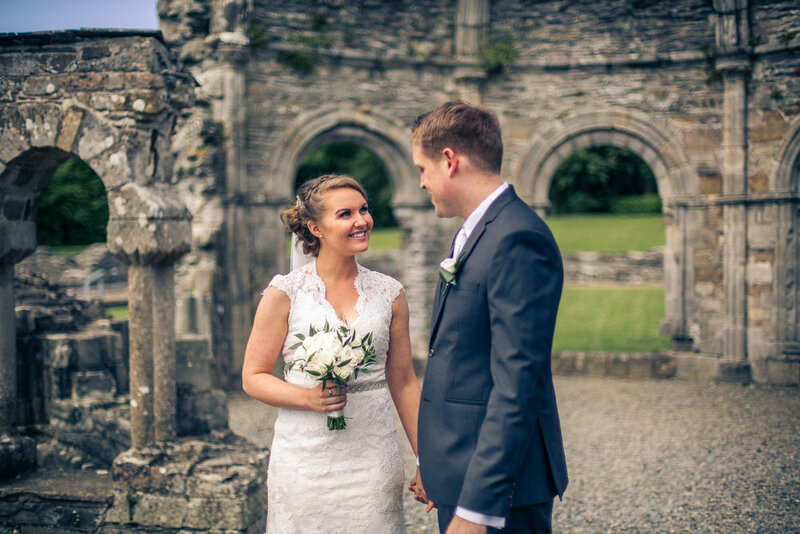 Site of the first Cistercian Abbey in Ireland and dating back to the 12th century, Mellifont Abbey has character in abundance. 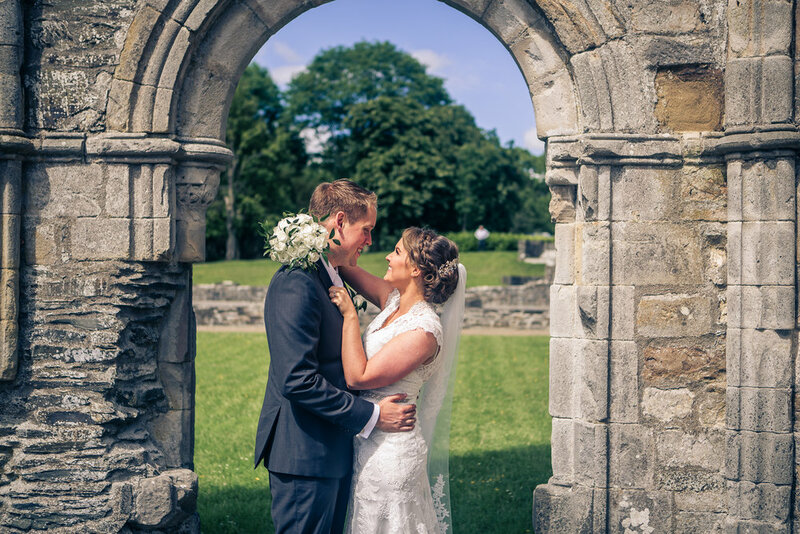 With it's beautiful arches and crumbling ruins you won't fail to get some great photos here!